As with every incident, the recent Lower North Fork Fire has resulted in continuing to improve our protocol for large and small animal evacuation in our area due to wildfires. Jefferson County Animal Control, Jefferson County Horse Council and Jeffco HEAT (Horse Evacuation and Assistance Team) all continue to work together to learn from each wildfire to improve their methods for what we all hope won’t happen again. While it is still early, these local groups are putting together updated literature that will be available to the public in the near future. 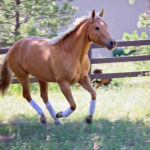 With the help of Jeffco HEAT, Jefferson County Animal Control and Jefferson County Horse Council, the following is meant to give you some tips if your horse or other large animal needs to be or has been evacuated; including some rumors put to rest. Keep in mind that these services are provided at no charge, by volunteers. Be generous to these organizations in regular contributions and especially when your animals have benefited from their help. The trucks and trailers in particular are owned, fueled and maintained by the individual Jeffco HEAT members. These people care about your animals and that is why they are a part of this effort! During a wildfire, time is precious; please look over the following information and pass along to others in order to help with the process. THE NUMBER ONE REQUEST – YOUR ANIMAL MUST KNOW HOW TO LEAD AND LOAD!!! 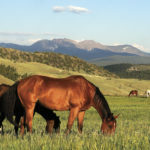 It is essential that horses be able to lead and load in different trailers. Other people should be able to load your horse. Size (breed, age) and number of animals. Have halters and leads in plain view. Keep copies of proof of ownership in a safe place other than your home or barn. Loading Order (i.e. Bay goes in first). Property access – large or small trailer maneuverability, access to horses, turn-around. Owner present for evacuation: HEAT will document your drivers license and paperwork for each individual animal. Claiming animal: Bring with you Livestock (Brand) Inspection Papers or Drivers License for proof of address (if you were present at evacuation). In some cases, pictures of you with your animal will work. All animals go to Jeffco Fairgrounds unless otherwise stated. Animal ID at holding facility: All animals have a numbered tag that acts as a tracking number until they are released to owner. Microchipping and Livestock (Brand) Inspection is the best form of ownership. Visitation hours are between 8am and 7pm – owners are allowed to exercise, ride, groom, etc. Owners can feed their animals, but are asked to do so at the feeding times of 8am and 5pm for the happiness of the other animals. Jefferson County Animal Control is ultimately in charge of the animals. Animals at holding facility are considered impounded; therefore the owner does not need to be contacted if the animal needs medical attention. Once the animals are released to their owner, if they have no other way to get them back to where they were picked up, Jeffco HEAT is available to haul them (no cost, but DONATIONS ACCEPTED!). MYTHS ABOUT EVACUATED LARGE ANIMALS BUSTED! There is NO CHARGE to haul or keep your horses. Animals are watched over 24 hours a day at holding facility. Animals are fed grass hay and water, unless otherwise prescribed by veterinarian. The light is always on – Animals always accepted! Animals can be released to owner or owners agent at anytime. Thank you to Ingrid Spikker and the rest of the Jeffco HEAT, Barb Suggs of the Jefferson County Horse Council and Carla Zinanti from Jefferson County Animal Control. 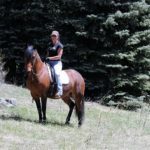 Heather McWilliams MtnHomes4Horses.com 2013 Copyright.